What is an Interconnect Defect (ICD)? An ICD is a condition that can interfere with the internal circuit connections in a printed circuit board (PCB). These internal connections occur where the innerlayer circuit has a drilled hole put through it. PCB processing adds additional copper into the drilled hole to connect the innerlayer circuits together and bring the circuit to the PCB board surface where connectors or components are placed to provide final function. If there is a defect at or near this interconnect or plating and innerlayer copper, it could lead to failure of a specific circuit (or net). This defect typically causes open circuits, but could be intermittent at high temperatures. Of significant concern is that the functionality may be fine as the PCB is built, but will fail in assembly or usage, becoming a reliability risk. This latency for the defect has put ICDs on the serious defect list in the industry. Another item is that ICDs have increased in frequency over the past five to seven years, making this a higher priority issue. The majority of ICDs fall into two categories: debris-based ICDs and copper bond failure ICDs. Debris-based ICDs are caused by material left behind by the hole drilling process. This material is supposed to be removed from the holes, but is not when ICDs are found. 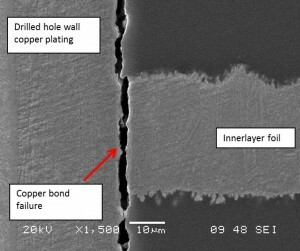 Some causes are drill debris residues, drill smear and particles (glass and inorganic fillers) embedded into the innerlayer copper surface. The increases in this ICD type seems to be related to the increased usage of low Dk/low Df materials that use inorganic filler types. These materials generate more drilling debris and are often more chemically resistant materials, compared to standard FR-4 epoxy materials. This combination of effects makes the drilled holes much more difficult to clean out completely. 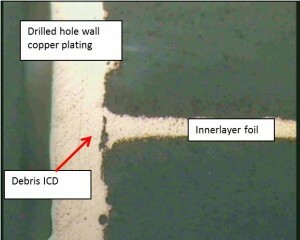 Copper bond failure ICDs occur when the copper connection is physically broken. This can be due to high stress during assembly or use, or the copper bond being weak (or a combination). This failure mode is also design related, in particular, increased PCB thickness, increased hole size and wave soldering all tend to increase the risk of copper bond ICDs. It seems that there has been an increase in the rate of this ICD type, which is related to increased lead-free soldering temperatures and increased board thickness over the past 10 years. Note: This condition also occurs on HDI microvias. The causes are similar but the processing is different. Reliability testing has been run on both types of ICDs. Copper bond type ICDs are a significant reliability issue. They show up as assembly failures and product with weakness may have increased tendency for field failures. Drill debris type ICDs have not been shown to be a significant reliability issue in several studies, but they are an industry specification failure, so they affect product yield and costs. Well run IST testing, using a valid coupon structure, has been a very valuable testing method for determining risk due to ICDs. ICDs can be prevented by good PCB design and improved PCB processing methods. Debris type ICDs are a function of drilling parameters and desmearing. Many of the newer materials with fillers do not drill like standard FR-4. Instead of forming a chip during drilling, they break apart into small particles. These particles then tend to coat the drilled hole walls. One factor associated with debris ICDs is drill bit heating. Factors that result in hotter drill bits cause more debris formation and residues. Desmearing, which is done to remove drilling residues, often needs to be more aggressive when using these material types. This has been effective at reducing or eliminating debris ICDs. Copper bond failures are a little more complex. In PCB processing, the key factors are cleaning the innerlayer copper surface so that a strong bond can form. In addition, the electroless copper deposit needs to be in good control, having the correct thickness and grain structure, to have the required strength. Testing and experience show a good processing focus, along with appropriate reliability testing can result in consistently robust product. Design factors also play a big role. As noted above, board thickness and hole size are key factors. These relate to the amount of stress placed upon the interconnect during thermal exposure. Eliminating soldered through-hole connectors is one of the major ways to reduce this issue, as these often contain most of the larger holes. If you need to have thick boards, look into the z-axis CTE and Tg of your material. Lower z-axis CTE values and higher Tg values will result in reduced stress. With PCB performance requirements constantly on the rise, ICDs will remain an issue. A better understanding of ICDs will help designers reduce the impact that they have on the performance of the board. Better PCB processing practices in drilling and desmear and selecting electroless copper will improve quality. Implementing best practices will reduce opportunities for ICDs, particularly changing connector approaches. Finally, this issue is taken seriously by the PCB suppliers, many of which are working to combat the sources behind ICD failures. 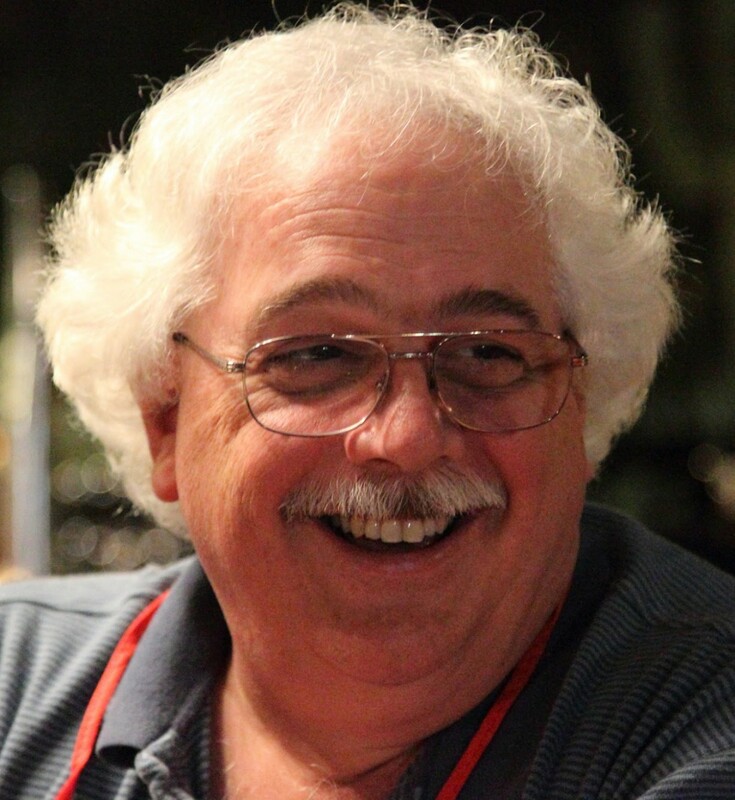 Doug Trobough is the Corporate Director of Application Engineering at Isola Corp. Doug has worked introducing new material introduction and PCB processing enhancement with Isola for five years. 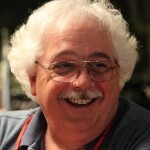 Prior to Isola, Doug had almost 30 years of experience building a wide variety of PCB types and interconnections systems, for Tektronix and Merix Corp., in a variety of technical positions, including CTO for Merix Corp. This essay appears in Circuit Cellar 300 (July 2015). Microchip Technology recently announced a new addition to its Human Interface Solutions portfolio. 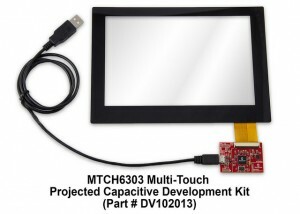 The MTCH6303 is a turnkey projected-capacitive touch controller for touch pads and screens. Touch sensors with up to 1,000 nodes and diagonals of up to 10” are supported. The MTCH6303 provides multi-touch coordinates as well as a ready-made multi-finger surface gesture suite that brings modern user interface (UI) elements (e.g., pinch and zoom, multi-finger scrolling, and swipes) to any embedded design, with minimal host requirements. The MTCH6303’s advanced signal processing provides noise-avoidance techniques and predictive tracking for 10 fingers, at scan rates of up to 250 Hz with a minimum of 100 Hz each for five touches. It also combines with Microchip’s MTCH652 high-voltage line driver to achieve a superior signal-to-noise ratio (SNR) for outstanding touch performance in noisy environments. When combined with the MGC3130, the MTCH6303 solution can support 3-D air gestures up to 20 cm from the touch panel. Microchip’s MGC3130 E-field-based 3-D tracking and gesture controller includes Microchip’s GestIC technology, allowing user input via natural hand and finger movements in free space. Thus, you can create interface-control possibilities in two and three dimensions. The advanced capabilities of the MTCH6303 create robust, ready-to-go touch and gesture solutions for the rapid growth of human-interface applications and requirements in the industrial (e.g., machine control panels), home automation (e.g., lighting controls) and office equipment (e.g., printers) markets, among others. 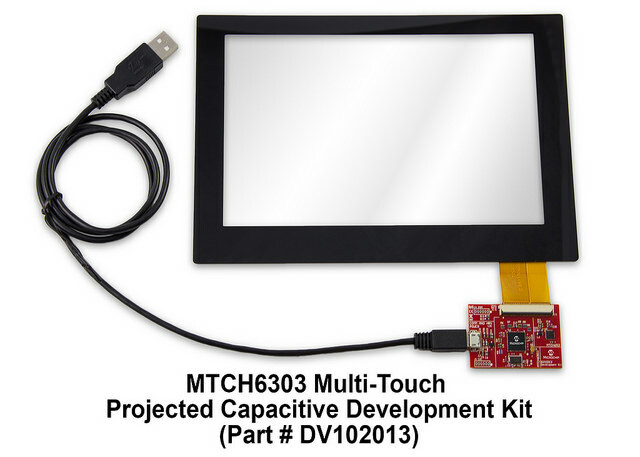 The MTCH6303 is supported by Microchip’s new $149 Multi-Touch Projected Capacitive Touch Screen Development Kit (part # DV102013), which is now available with free, downloadable software. The DV102013 incorporates the MTCH6303 projected-capacitive touch controller and the MTCH652 high-voltage driver on a controller board, and includes a transparent, 8″ ITO touch panel for easy demonstration of the MTCH6303’s touch-controller capabilities and supporting graphical user interface (GUI) functionality. Microchip’s free MTCH6303 GUI provides you with complete access to the configuration and tuning parameters. Advanced visualization windows assist all user levels with easy-to-comprehend feedback, to accelerate design integration for fast time-to-market. Additionally, Microchip empowers designers by providing access to the firmware library, to enable further customizations for maximum design flexibility and control. The new MTCH6303 is available today in 64-pin QFN and TQFP packages, for sampling and volume production. Pricing starts at $2.46 each, in 10,000-unit quantities. The MTCH652 is available today in 28-pin QFN, SOIC and SSOP packages, for sampling and volume production. Pricing starts at $1.04 each, in 10,000-unit quantities. The MGC3130 is available in a 28-pin QFN package for sampling and volume production. Pricing starts at $2.26 each in 10,000-unit quantities. STMicroelectronics has begun producing microcontrollers with the new ARM Cortex-M7 processor, which is the newest Cortex-M core for advanced consumer, industrial, and Internet-of-Things (IoT) devices. The new STM32F7 microcontrollers combine the Cortex-M7 core with advanced peripherals. The STM32F7 Discovery Kit includes the STM32Cube firmware library along with support from software-development tool partners and the ARM mbed online community. The $49 Discovery Kit includes a WQVGA touchscreen color display, stereo audio, multi-sensor support, security, and high-speed connectivity. In addition to an integrated ST-Link debugger/programmer (you don’t need a separate probe), you get unlimited expansion capability via the Arduino Uno connectivity support and immediate access to a wide variety of specialized add-on boards. STM32F7 devices are available in a range of package options from a 14 mm × 14 mm LQFP100 to 28 mm × 28 mm LQFP208, plus 10 mm × 10 mm 0.65-mm-pitch UFBGA176, 13 mm × 13 mm 0.8 mm-pitch TFBGA216, and 5.9 mm × 4.6 mm WLCSP143. Prices start at $6.73 for the STM32F745VE in 100-pin LQFP with 512-KB on-chip flash memory (in 1,000-unit orders). The STM32F7 development ecosystem includes both the Discovery Kit and two evaluation boards (STM32746G-EVAL2 and STM32756G-EVAL2) that cost $560 each. The STM32F7 Discovery Kit (STM32F746G-DISCO) gives full flexibility to fine-tune hardware and software at any time. You also benefit from the associated STM32CubeF7 firmware, and the ability to re-use all STM32F4 software assets due to code compatibility. 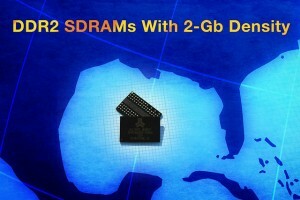 Alliance Memory recently broadened its line of high-speed CMOS double data rate 2 synchronous DRAMs (DDR2 SDRAM). Its new device featuring high 2-Gb density in a 84-ball 8-mm × 12.5-mm × 1.2-mm FBGA package. The AS4C128M16D2 is available (from a limited number of suppliers) in commercial (0°C to +85°C) and industrial (–40°C to +95°C) temperature ranges. The AS4C128M16D2 provides a drop-in, pin-for-pin-compatible replacement for a number of similar solutions in industrial, auto, consumer, networking, and medical products that require high memory bandwidth. It is internally configured as eight banks of 16M × 16 bits. The RoHS-compliant DDR2 SDRAM includes a synchronous interface and operates from a single 1.8-V (±0.1 V) power supply. In addition, it features a fast clock rate of 400 MHz and a data rate of 800 Mbps/pin. The DDR2 SDRAM provides programmable read or write burst lengths of 4 or 8. An auto precharge function provides a self-timed row precharge initiated at the end of the burst sequence. Easy-to-use refresh functions include auto- or self-refresh while a programmable mode register allows the system to choose the most suitable modes to maximize performance. With the AS4C128M16D2, Alliance Memory now offers a variety of DDR2 SDRAMs with densities of 512 Mb, 1 Gb, and 2 Gb. Samples of the AS4C128M16D2 are available now, with lead times of six to eight weeks for production quantities. Pricing for US delivery starts at $6.50 per unit. Forget those expensive temperature sensors. Now you can use an ordinary heating element like a soldering iron to measure temperature. 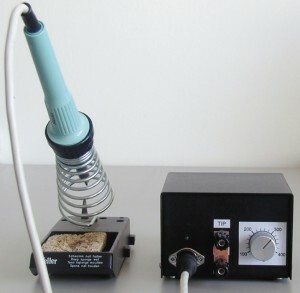 Daniel Maliks’s upgraded soldering iron will be a great addition to your workbench. There are many applications that involve the conversion of electric current into heat by means of a heating element with some degree of temperature control. Hot water boilers, kettles, and irons are typical examples. In this article, I’ll explain how you can eliminate the need for a temperature sensor by using the heating element itself to accurately measure temperature. The finished soldering station. Think of it as a heating element turned temperature sensor. I appreciate that electronics enthusiasts don’t necessarily want to read about cooking and ironing. So, I’ll describe a device you might be more comfortable thinking about: a soldering iron. All of the aforementioned appliances and tools have one important thing in common that makes them different from, say, a hair dryer. Any thoughts? The important common factor is that the thermal resistance between the heating element and the heated medium is much lower than the thermal resistance between the medium and the ambient world. Thus, if electric current stops flowing through the heating element, the temperatures of the element and the medium will equalize long before the medium loses much of its temperature via heat radiation and conduction. Because the resistance of all the conductors used for constructing heating elements has some temperature coefficient, you can measure the temperature of the heating element by measuring its resistance and comparing it to its resistance at, say, 25°C. This brings us neatly to the basic idea behind this project. First, you turn on the heating element for a while. Then, switch it off and wait for the temperatures to equalize. After that, you must measure the resistance and calculate the temperature. And then do it again: switch on, switch off, measure, and so on. It’s easy to see why this approach wouldn’t work with a hair dryer. The air forced through a hair dryer moves quickly and has poor heat conductivity. I can hear you asking the obvious questions. 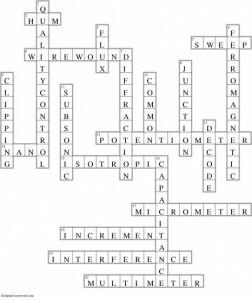 How difficult is it to measure the element resistance? How much does it change with temperature? Wouldn’t a simple sensor be cheaper and easier to use? It depends on the application. I will address these concerns as I describe the soldering iron example. by 8 V to reduce power dissipation. In the measurement circuit, the current source is built from an adjustable linear regulator. The current is set to a little higher than 200 mA. The main power switch Q1 is connected to an additional transistor circuit to translate the control voltages down to the 0- to 5-V range the Freescale MC68HC908QT4 microcontroller is capable of generating. The MC68HC908QT4 microcontroller is an inexpensive 8-bit HC08 device housed in an eight-pin DIL package that’s easy to work with. The microcontroller is connected to an LED that indicates whether the soldering tip is below, equal to, or above the desired temperature. A potentiometer regulates the desired temperature. The remaining pieces of the circuit are two trimmers that are used to calibrate the offset and gain of the temperature regulation. 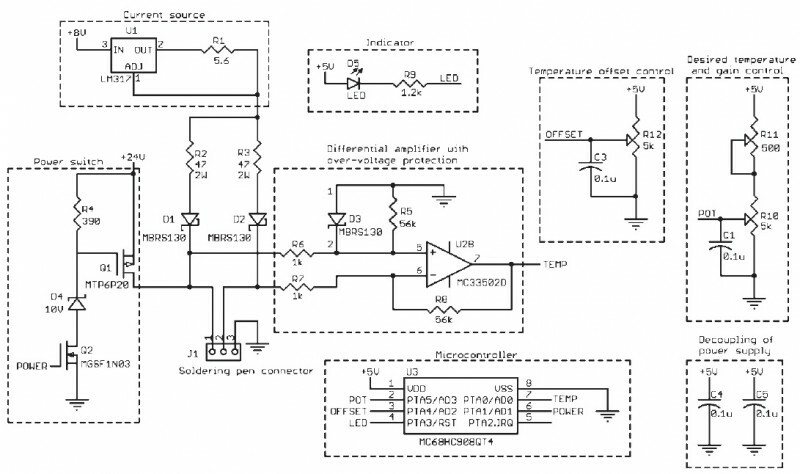 A schematic of the power supply I used isn’t shown here. I used a small, lightweight custom switch-mode power supply. However, the circuit will work equally well with a mains transformer-based power supply. This temperature measurement application is very simple. As a result, the small amount of code for the ’HC908QT4 is little more than 700 bytes. Download the entire CC191 article. 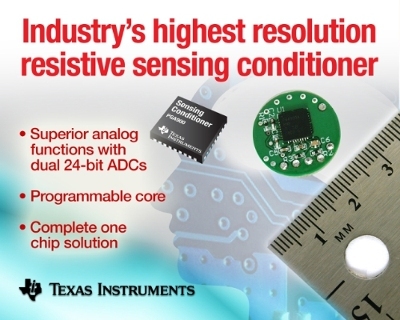 Texas Instruments recently introduced the PGA900 high-resolution resistive sensing signal conditioner. The PGA900 enables the fast and precise 24-bit measurement of conditions such as pressure, flow, strain, or liquid levels. Its programmable core enables flexible linearization and temperature compensation for numerous resistive bridge sensing applications. Fast, precise sensor signal and temperature compensation: Integrates two 24-bit ADCs to provide high-resolution signal acquisition. Low-drift voltage reference of 10 ppm/°C, maximum, enables high accuracy across the –40°C to 150°C operating temperature range. Integrated 14-bit DAC: Enables highly linear analog outputs. User-programmable temperature and nonlinearity compensation algorithms: Integrated ARM Cortex-M0 core allows developers to use proprietary temperature and nonlinearity compensation algorithms to differentiate their end products. Simple calibration: One-wire interface allows communication, configuration and calibration through the power supply pin without using additional lines. Wide input voltage allows direct connection to the power supply: Integrated power management circuitry accepts input voltages ranging from 3.3 to 30 V to simplify the design and provide reliability. With the PGA900 evaluation module (EVM), you can to quickly and easily evaluate the device’s performance and integrated features. The PGA900EVM is available for $249. You can download PGA900 example software and the user’s guide, as well as the PSpice and TINA-TI Spice and TINA-TI models, at www.ti.com. The PGA900 resistive sensing conditioner comes in a 6 mm × 6 mm very thin quad flat no-lead (VQFN) package. It costs $4.50 in 1,000-unit quantities. Infineon Technologies recently launched a family of rugged, reliable 700-V High-Voltage ICs (HVICs) optimized for solar, power supply, uninterruptible power supplies (UPS), welding, and industrial drive applications. The 700-V offering enables designers of high-voltage power stages to simplify their designs while making them more robust. The new IR7xxxS series of HVICs feature sink/source ratings from 60 to 2,300 mA and utilize PN junction technology. Available in half bridge and high- and low-side configurations, the new HVICs are optimized for 700-V MOSFETs and 650-V IGBTs and offer full driver capability with extremely fast switching speeds to reduce magnetics component count. Other key features of the new devices include under-voltage lock-out protection for both channels, lower di/dt gate driver for better noise immunity. In addition, the HVICs are tolerant to negative transient voltage dv/dt, offer matched propagation delay for both channels and are 3.3- and 15-V input logic compatible. 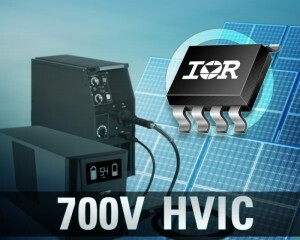 The new IR7xxxS series is available in surface-mount (8-SOIC) packages in high volume. The lead-free devices are RoHS-compliant. 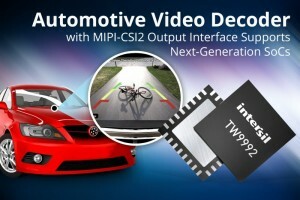 Intersil Corp. recently introduced the TW9992 analog video decoder, which features an integrated MIPI-CSI2 output interface that provides compatibility with the newest SoC processors. The decoder’s MIPI-CSI2 interface simplifies design by making it easier to interface with SoCs, while also lowering the system’s EMI profile. 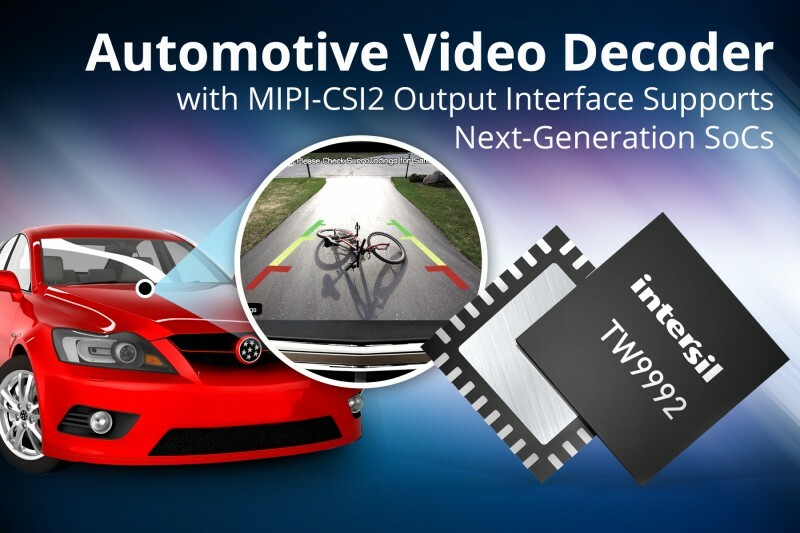 The TW9992 decoder takes both single-ended and differential composite video inputs from a vehicle’s backup safety camera, and is the latest addition to Intersil’s video decoder product family for automotive applications. Designed with built-in diagnostics and superior video quality, the TW9992 addresses the biggest challenges faced by automotive video systems. For example, the decoder’s Automatic Contrast Adjustment (ACA) image enhancement feature overcomes a major challenge for backup camera systems by adapting to rapidly changing lighting conditions. ACA is able to automatically boost up or reduce the brightness/contrast of an image for greater visibility and safety. In addition, vehicle backup cameras typically employ differential twisted pair cables that require designers to use an operational amplifier (op amp) in front of the video decoder to convert the differential signal to single-ended. The TW9992 decoder eliminates the need for an external op amp by supporting direct differential CVBS inputs, thus reducing system cost and board space. The built-in short-to-battery and short-to-ground detection capability on each differential input channel further enhances video performance and automotive system reliability. The automotive-grade TW9992 analog video decoder is available in a 32-pin wettable flank QFN package. It costs $3 in 1,000-piece quantities. 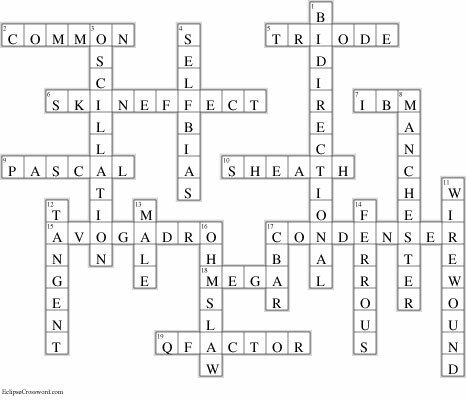 The answers to Circuit Cellar’s June 2015 electrical engineering crossword puzzle are now available. STATOHM—Five of these equals approximately 4.5 × 1012 ? 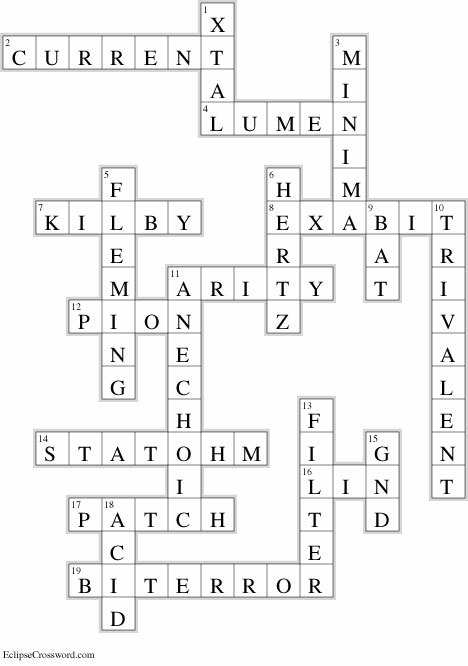 The answers to Circuit Cellar’s May 2015 electrical engineering crossword puzzle are now available. 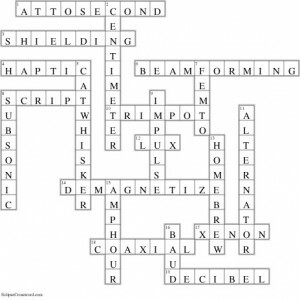 BAUD—200 bits per second = 200 what? 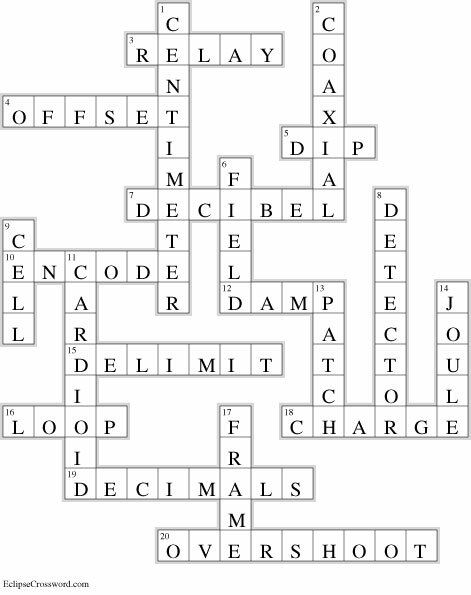 The answers to Circuit Cellar’s April 2015 electrical engineering crossword puzzle are now available. 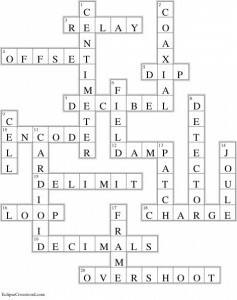 DECIMALS—10.1 mal equals 10 what? 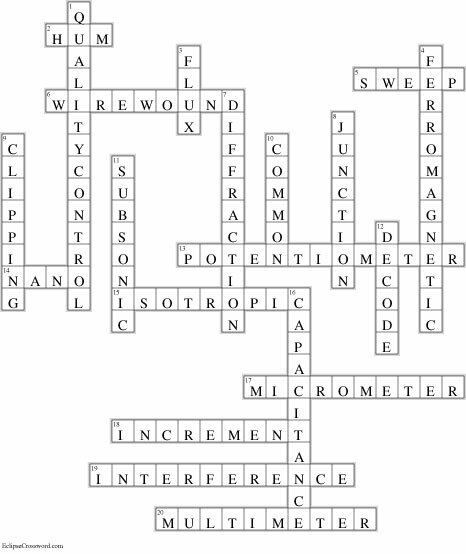 The answers to Circuit Cellar’s February 2015 electrical engineering crossword puzzle are now available. 8. MANCHESTER—In this code, common in telecommunications, each bit of data is represented by at least one voltage level transition. MSC Technologies, a business group of Avnet Electronics, recently introduced the new WLAN-Module HDG820 for 802.11.b/g/n networks, designed by H&D Wireless AB (Sweden). The solution incorporates a complete IP protocol set running on an internal ARM Cortex core and is an ideal platform for advanced smart-home, IoT and M2M applications over Wi-Fi. H&D Wireless AB specializes in world class Wi-Fi solutions, combining a deep knowledge of embedded wireless systems, silicon design and system software for cloud services and mobile phone apps. The company’s range of WLAN is deemed best in class in terms of size, power consumption in all modes, transmit/receive range, data transfer speed and cost. Wi-Fi solutions from H&D Wireless are supported on leading MCU platforms allowing easy access to the Internet as well as data and audio for consumer electronics. 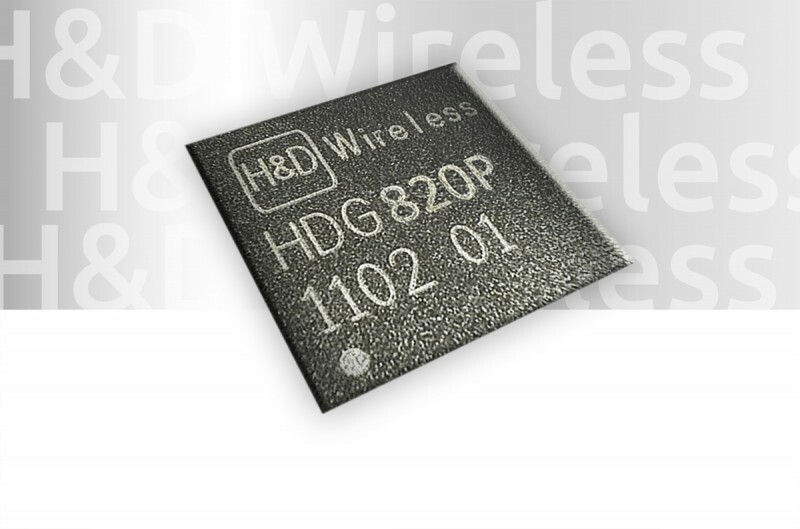 The new HDG820 SiP-Module from H&D Wireless includes the Controller, WLAN transceiver and Memory and is delivered in an extremely small SMD package of 8 × 8 × 1.2 mm3. It can be controlled via UART / SPI which is also the interface for data transfer. With a power consumption of max. 220 mA and 250 µA in Sleep mode and an RF performance of +17 dBm in Tx and –96 dBm in Rx, it fulfills all requirements for typical building and home applications. An extended temperature of –40 to +85°C also makes it an ideal platform for Wi-Fi enabled sensors in industrial applications. The HDG820 module is pre-certified for CE and FCC and of course Wi-Fi certified. In addition to its compact size only very few components need to be added to the BOM list (e.g., antenna and capacitors), allowing for extremely competitive new designs with all the benefits of WLAN solutions. Even more interesting is the list of supported software features. Protocols like TCP/IP, HTTP and more as well as features like Soft-Access Point, Wi-Fi Direct and also security features like WPA are available and fully integrated. 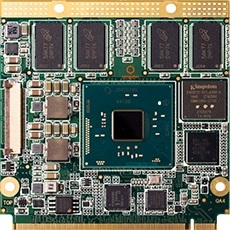 The Pico oWL API is designed to be compiled and executed on multiple processor platforms from 8 bit to 32bit and makes configuration really easy, also enabling full control of the module. H&D Wireless even supplies a Linux design environment. Furthermore the Griffin Software, also delivered by H&D Wireless, supports full cloud computing capabilities and easy app integration with several reference designs available. All software is available for free. Development kits, demo applications and of course the modules itself are available at MSC Technologies in Europe and Avnet Electronics worldwide.